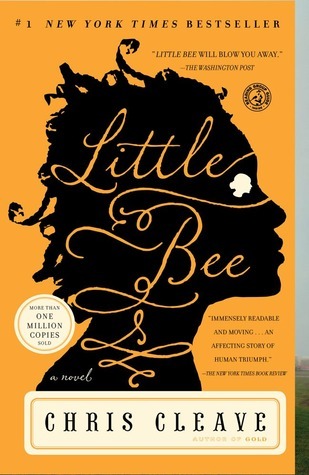 Enter to win the a copy of Little Bee by Chris Cleave. Giveaway is open to address located in the of the United States only (sorry I can only ship books to addresses located in the United States). All entries most be through the Rafflecopter widget below. Winners will be announced on this blog (The Little Reading Nook) and Twitter (@MoniqueReads) on April 2, 2013 at 7am (EST), only. No emails will be sent. Winner has 48 hours (April 4, 2013 at 7am (EST)) to contact me via email (thelittlereadingnook at gmail dot com) or via direct message on Twitter (@MoniqueReads) to claim their prize. If I don't receive an email or (direct message) from the winner, another winner will be chosen. Winner will be announced via twitter and on the blog. I think it goes without saying but no cheating (one entry per family and household). To help your giveaway post them on these 4 sites. I do it for all my giveaways.